This is an excerpt of a retreat given by Bernie Tetsugen Glassman at Zen Mountain Monastery on October 26. 1991. 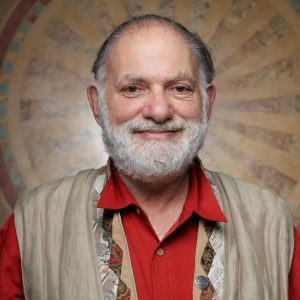 Bernie Roshi, who passed away this past Sunday, was Taizan Maezumi Roshi’s first dharma heir at Zen Center of Los Angeles and played a key role in John Daido Loori’s founding of Zen Mountain Monastery. Here he discusses how to help people while still empowering them and the role of social action in Buddhist practice. Bernie, as he humbly preferred to be known, pioneered the concept of street retreats, bringing hundreds of people to live as and among the homeless in order to get a glimpse of their reality and thereby cultivate compassion for those that our society often overlooks. He also led many Bearing Witness retreats, a mainstay of the Zen Peacemakers Order, bringing groups to sites of historic genocide and practicing the three tenets of Zen Peacemakers: not knowing (including not setting an agenda for one’s experience), bearing witness (not turning away), and taking action (within the framework of the Buddhist precepts). To learn more about Bernie Roshi’s life and accomplishments, visit ZenPeacemakers.org and please consider offering your support to that wonderful organization.